Okay, picture this: A front-engined, rear-wheel-drive car, with 1970s styling, a 440 cubic inch Mopar V-8, a hood long enough to land a plane on, and a rear window big enough to view all of Burning Man. Such a vehicle sounds like idyllic American muscle, a car that Baby Boomers would use as a receptacle for gaudy chrome wheels and paint colors with names longer than some children's books. 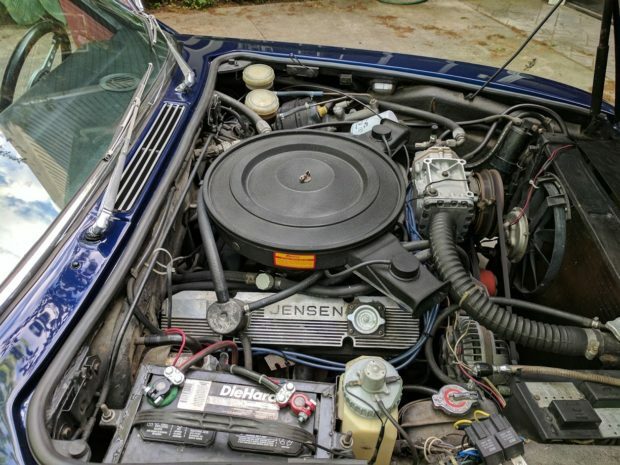 The car in question is no American muscle, though—it's the product of long-defunct British car make Jensen, and from 1966 to the company's demise in 1976, over 6,400 of these Anglican GT-muscle crossbreeds were manufactured. 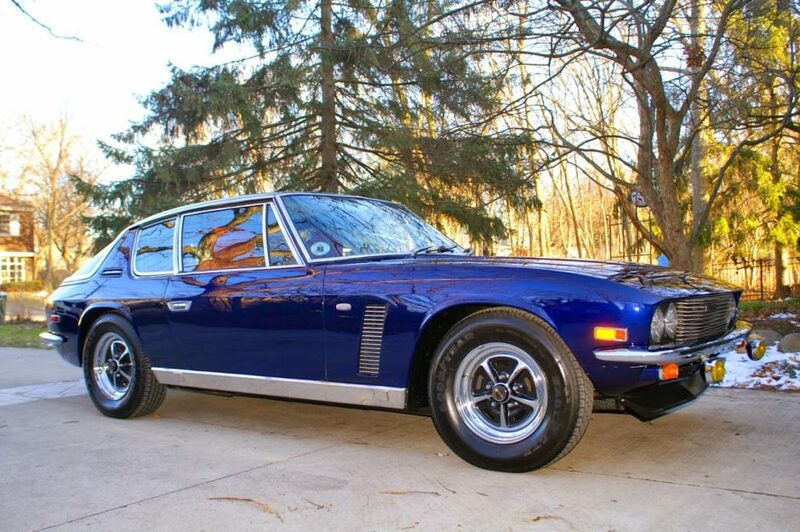 Some may only know of the Jensen Interceptor from when Letty Ortiz drove one in the sixth F&F film. Others will recognize it from when Top Gear used it as the hero car for a parody of 70s cop dramas, the video of which can be seen below. At least one example made it stateside, and though powered not by the 440, but by a smaller 383 cubic inch engine, it's appealing nonetheless. 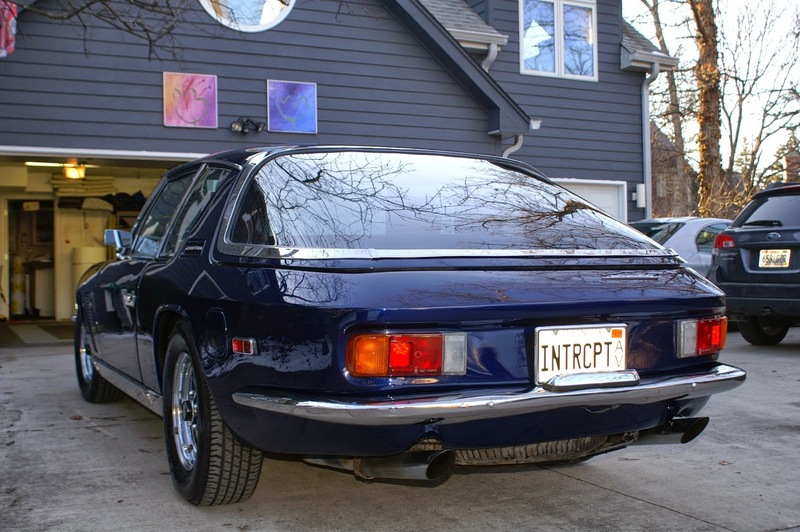 The auction listing describes a restoration performed in the last decade, one that included stripping the car down to the metal and repainting in an Audi paint color, Estoril Blue. 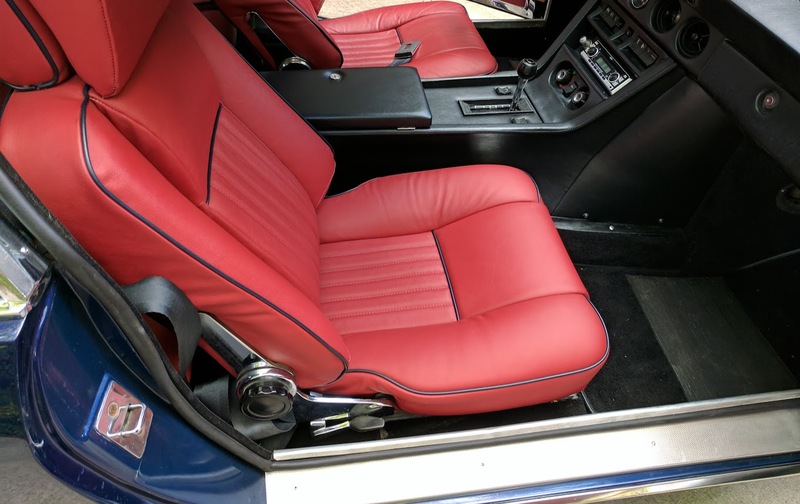 The interior has been redone in red leather and blue piping, an interior approaching the questionability of a Levi's Wrangler. Other restomods include R134 AC conversion, a CD-capable head unit, and a finagled Camaro air dam. The original 8-track tape player is, of course, included in a box. 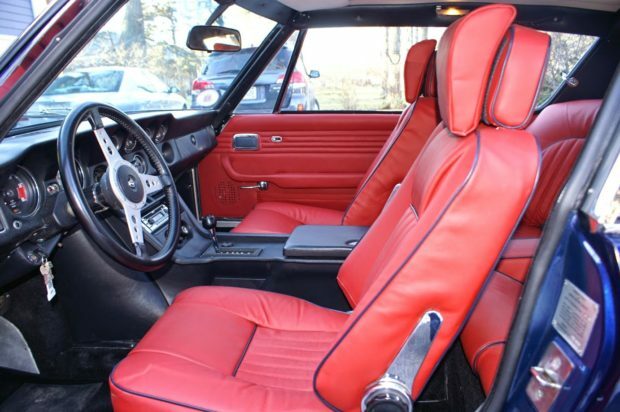 Breaking with the tradition of 70s British cars, it is reported that all the interior electrics, like the gauges and power windows, are functional. This is especially true of any vehicle that used components made by Lucas Electrics. The high bid already sits at a lofty $14,300, and with six days remaining, that bid is almost certain to climb still.